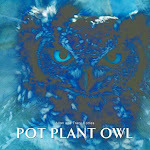 Pot Plant Owl: 20 Jan and Azizi leaves the balcony! They grow up so fast! Stay safe little Azizi! Thank you for sharing your joy with the owls! Could it br that Azizi returns to the balcony may be... Do owlets return from time time to the nest after they fledge? Did Azizi fly off the pilots wall? Azizi has been flying well for a week or so now. Maybe it's just time to get out there. I hope (s)he'll come back to see us again, though. I want to take a moment to say thank you for sharing your balcony, again, so that lucky me and many other owl lover fans could share watching PPO and Pappa raise another addition to add to their ever growing family. It seems like just yesterday that we heard news of 2 new "chicks"!! Now here we are and our not so little Azizi has left the security of it's nest and fantabulous play ground up on Tracy & Allan's balcony for a new adventure. I should be used to saying goodbye by now but I'm not ... smile. Safe travels our little Azizi. PS Will look forward to little updates on your blog from time to time. It's the news we knew we would hear soon, but still we all love to drop by and see Azizi on the balcony no matter what time of day. What a blessing to be part of this owl family and watch Azizi grow up! Thank you, Tracy and Allan, for allowing us to watch this miracle. Fly safe little one... Sending love from Florida, USA. Man.. they grow up soooo faster. It seems like just yesterday little Azizi was just a little fluff ball. Enjoy your new adventures Azizi! Congratulations on a chick successfully fledged when you thought there would be none this year! Alice just laid an egg last night, so I think that's great timing with Azizi's flight. Thank you, PPO and Pappa, for teaching us another inspiring lesson in nature. Hope we see you again, Azizi, but if you have moved on for good, Godspeed and good tailwinds. Soar in peace, Rosie. Thank you to Tracy and Allan for sharing your balcony with us. Let's do it again next year. Thank you Tracy and Allen for your generosity and caring and thank you PPO and Pappa for giving us a wonderful example of nature's ability to thrive and survive and find a way. Nest cams like Pot Plant Owl have engaged millions around the world and developed knowledge and caring for nature in those who watch and friends and family we get involved as well. I always enjoy to read your post. Keep the informative posting.